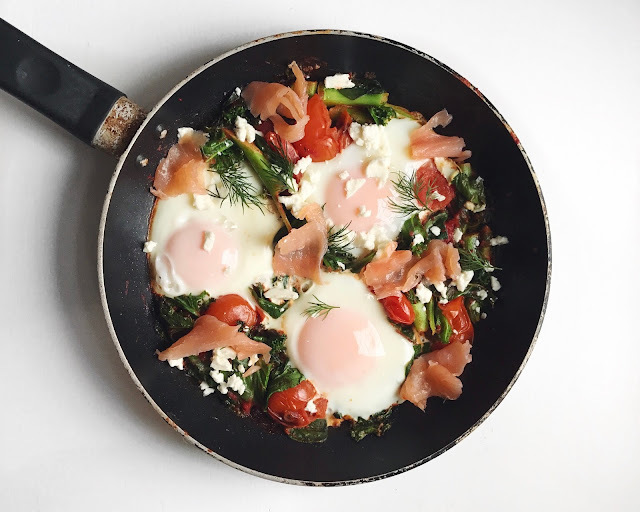 Heat up a small to medium sized frying pan with some oil, add in the tomatoes (whole), followed by the kale, spinach, tomato puree and water and allow to saute. Once the tomatoes have softened, use the back of a wooden spoon to squash them down (be careful of the hot juices when doing this as they may spurt out). Create 3 wells within the tomato & greens mix, crack the eggs into each one then cover with a pan lid - this will create steam which will effectively poach the eggs, this should take around 5 minutes. 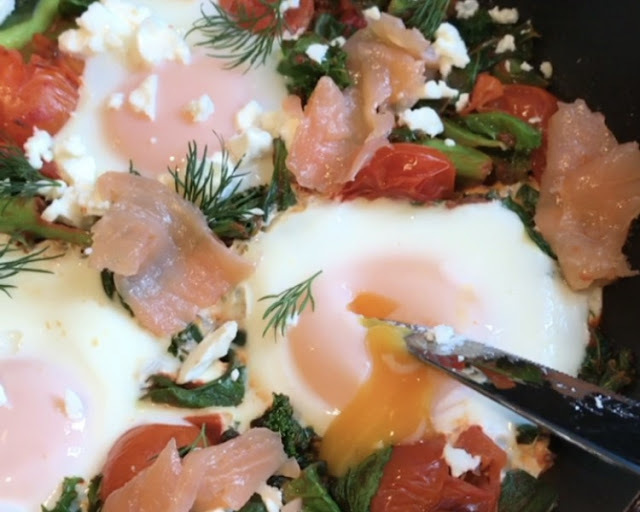 Once the eggs have poached, remove from the heat and add some slices of salmon, crumble some feta cheese and add some sprigs of fresh dill. Serve straight from the pan at the table and enjoy!